Elena represents private equity funds, property companies and family offices on complex real estate and leverage financings as well as litigation funding & blockchain funding matters. 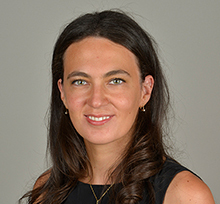 As a member of the Special Situations team, Elena provides a range of services from helping clients to raise finance for corporate, real estate and tech projects to introducing co-partners and connecting sources of capital to off-market investment opportunities. Elena holds law degrees from Harvard University and Lomonosov Moscow State University, and is fluent in Russian and French. She is admitted to practice in England & Wales, and is also a member of the New York and Russian bar. Key speaker at a seminar for a leading European bank on the key terms and covenant packages in recent Eastern European Financings (including major recent Polish, Russian, Ukrainian, Hungarian, Croatian as well as Kazakh and Azeri financings). Elena is a member of the London Loan Market Association. Elena is a recommended lawyer in Legal 500 2016 in the field of Property Finance.